You remember that song, don’t you? 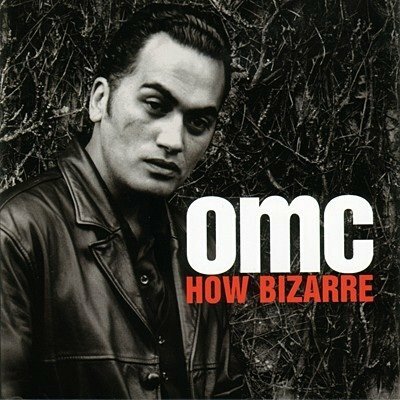 Apparently OMC was mildly popular in New Zealand. Here, they just made it to the “One Hit Wonders” best-of list. Anyway, I’m not here to talk about OMC. No, I am here to talk about what happened to my computer the day I wanted to upload a fantastic video of a guy freaking out over a double rainbow and the subsequent equally funny video someone made featuring background music, making the whole thing sound a lot like bad worship music. Instead, my son spilled water on my keyboard, causing my computer to scream in horror and promptly shut down mid-post. Days later, I turned it back on (after being advised to let it dry out) and found that it now randomly capitalizes text, ransom note-style. Here’s a sample, and I’m not even kidding (this is an excerpt from an email I sent to a friend): “By the wAY i have been correcting it as i go and it”s taking too dang long so i”m just goinG to leave the weirdness in and get on with it> APOlogies>>>” Notice the ‘less-than’ sign in place of all periods. Now, it’s doing it less, but it still happens. Also, my h, v, and t keys don’t always go, making unique new spellings for all my favorite words. So instead of me breaking the double rainbow to the world, you had to learn about it via Huffington Post, who wrote a brief article about it hypothesizing the dude was dropping acid at the time of filming. For his part, Paul Vasquez, aforementioned rainbow dude says he wasn’t high when he filmed that footage. Reading this article makes me feel like I am, however. Paul Vasquez, double rainbow spotter and prescription holder for legal California weed. Hoo Wee! Big fourth of Joo-ly fun at the grandparents’ house. Well, sort of. Usually, my Dad is so excited to buy fireworks every year that he can’t wait til actual fourth of July to set some of them off (just little ones – ground blooms, spinners, whizzers, snakes, etc.). In recent years, our city lifted its ban on lighting fireworks inside city limits. This prompted Baba (as we call him) to search out some more exciting choices like bottle rockets, ladybugs (my favorite) and the self-explained loud Neighbor Hater. For two years we have had all kinds of fun lighting these things and horrifying ourselves with the possibility that somebody is going to lose a finger, or that something is going to lodge itself into the rooftops and shingle siding of some neighbor with fantastic legal representation. So far nothing horrible has happened (cue mysterious, foreboding music). 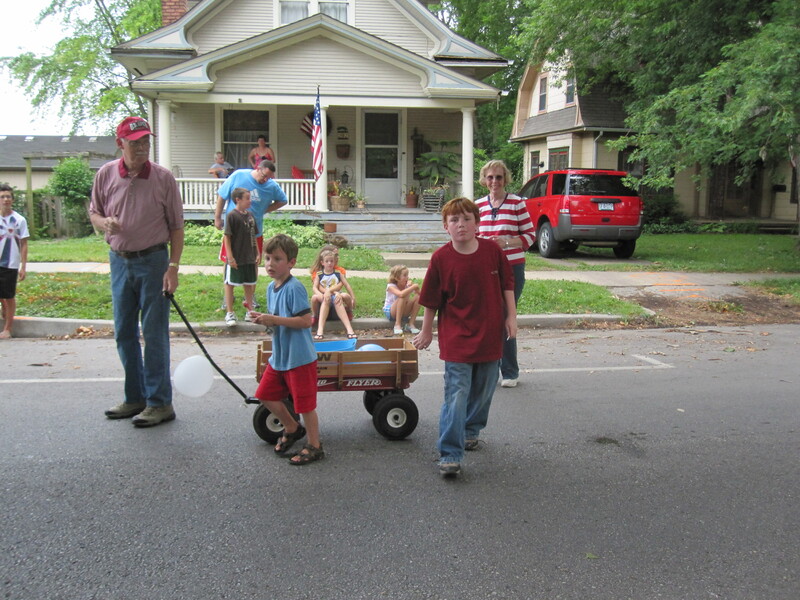 This year, our little town decided to have a fourth of July parade. Most of the ‘floats’ were just cars carrying very old veterans, and there was no music whatsoever except the bag piper who started the show and the odd police siren throughout. The fire trucks blew their horns once in awhile, just to make sure all the babies were paying attention. 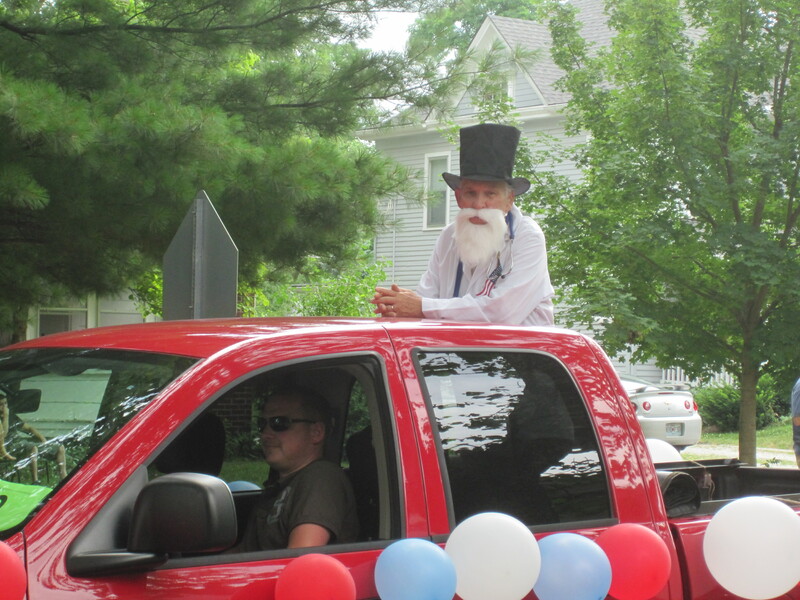 My dad rode in the back of a truck dressed as Dr. Dougherty, for whom his historic neighborhood is named. Mom said his beard made him look like Col. Sanders. I said he looked more like a capuchin. As the truck carrying Dad rolled by, my brother took the opportunity to lob a very hard Double Bubble at Dad’s head, causing him to clutch at his eyeball and careen sideways, much to the horror of the crowd. While my brother dissolved into hysterics, I screamed, “Who throws candy at an old man! ?” My brother, that’s who. The kids were instructed to hand big fistfulls of candy to everybody, causing their brim-full wagon to empty out before the final blocks of the parade, where 75% of the crowd was waiting. Better luck next year, sweaty crowds. My mom got so hot she didn’t even complete the parade route, having not agreed to walk with the float/truck in the first place. She said she’d NEVER do that again, and I think the kids were in agreement. Later, it rained, and everybody was so tired they didn’t care about fireworks anyway, even though the big display was walking distance from our own yard. It would be nicer if fourth of July happened more like October. I’m not terribly patriotic anyway; I’d just as soon be comfortable.